Women are often on edge about the bathroom scale between Thanksgiving and New Year’s. Is there really any way to enjoy the holidays and avoid gaining weight? Hell, yes. This year, I’m going to clue you in on three—yes, just three—ways that you probably don’t know can help you stave off extra weight during the holidays (and year-round). You know the Beatles song, “Shake It Up Baby, Twist and Shout?” Read on about how this song inspires weight maintenance – any day! 1. Shake It Up, Baby. 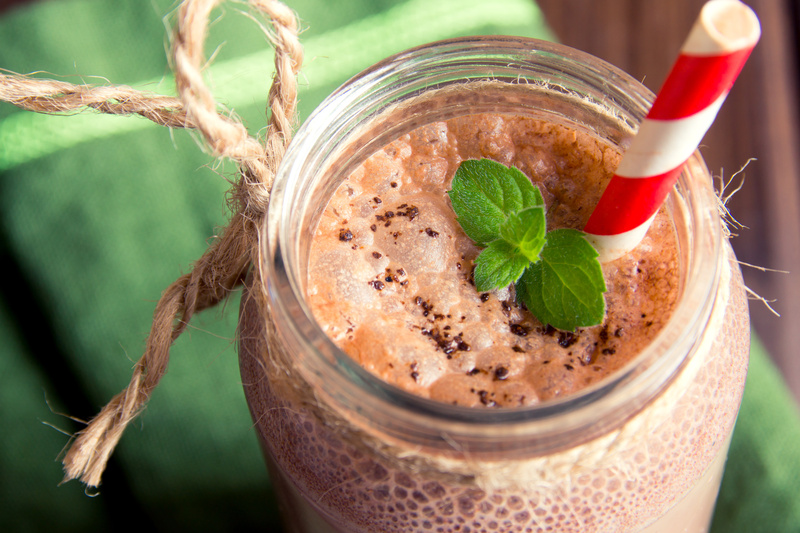 Drink a daily shake. 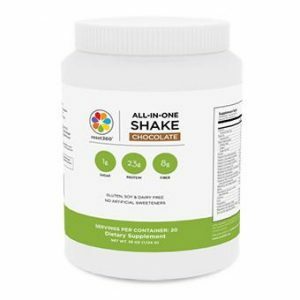 Assuming that you drink the type of functional shake that I advocate, you can stabilize your blood sugar, thereby reducing or even eliminating sweet-tooth cravings, and reduce inflammation by lowering your antigen levels, or triggers for your immune system. Less inflammation means less bloating, and voilà . . . you fit into your holiday dress. Blend all ingredients in a high-powered blender until smooth. Garnish with cacao nibs. 2. Twist. This means yoga. Yoga might burn fewer calories than a high-powered cardio workout, but as I’ve said countless times, losing weight or maintaining a healthy weight is not about the calorie calculation. Rather, reaching your goal weight is about resetting your hormones. One of the main culprits of weight gain in women is high cortisol—the main stress hormone—and yoga reduces cortisol, making you feel more at ease. And when you feel calmer, you are more likely to reach for healthy food choices. Yoga improves body mass index, body weight, body fat, and waist circumference. It’s not clear whether the improvements are due to physical activity, more lean body mass, changes in eating behaviors, but we don’t need to know in order to benefit. So be sure to integrate yoga a few times a week during the holidays and make it an ongoing routine. By practicing yoga, you’ll feel better, act better, and eat better. Believe me, yoga classes are likely to be packed with people dedicated to taking care of themselves despite all of the candy-packed festivities. They know what yoga does for them, and they make sure to continue getting its benefits when it counts most. 3. Shout! I’ve written extensively about how burst training is the most beneficial way to stress the body with exercise. Instead of driving up your cortisol and stimulating your appetite, you burst with explosive high-intensity intervals that make you want to shout. (Or crawl back into bed, or otherwise change your mind.) This holiday, I’m committed to walking 12,000 steps per day, half strolling and half huffing and puffing at a vigorous pace (about a 8-9 on a 10-point scale). To slow down aging, the topic of my next book, you want to activate all the muscle fibers, so fit in sprinting, burpees, and deadlifts in addition to your usual fitness regimen. High-intensity interval or burst training can help you improve blood glucose and insulin sensitivity. You can burst train with weights or cardio. At its simplest, dance with abandon for 3 minutes, and then take a break. Challenge yourself to join me and perform intense intervals this holiday! Weight loss and weight maintenance do not exist in a vacuum of calorie-intake-versus-calorie-burn. Rather, they are a result of your whole lifestyle. By including a shake in your day, as well as a bit of yoga and burst training a few times a week, you’ll reach for healthy foods more of the time, and feel and look as best as possible. So why not throw in a little Beatles-influenced shaking, twisting, and shouting for some happy, healthy holidays? Interested in more tips on weight maintenance and resetting hormones during the holidays? Check out my New York Times bestseller The Hormone Reset Diet. Woodyard, C. “Exploring the therapeutic effects of yoga and its ability to increase quality of life.” International Journal of Yoga 4, Vol. 2 (July – Dec. 2011): 49–54. Ross, A. “A different weight loss experience: A qualitative study exploring the behavioral, physical, and psychosocial changes associated with yoga that promote weight loss. Evidence-Based Complementary and Alternative Medicine (Aug 2016). Marcinko, K. “High intensity interval training improves liver and adipose tissue insulin sensitivity.” Molecular Metabolism 4, Vol. 12 (2015): 903-915.